Welcome to your February Newsletter. 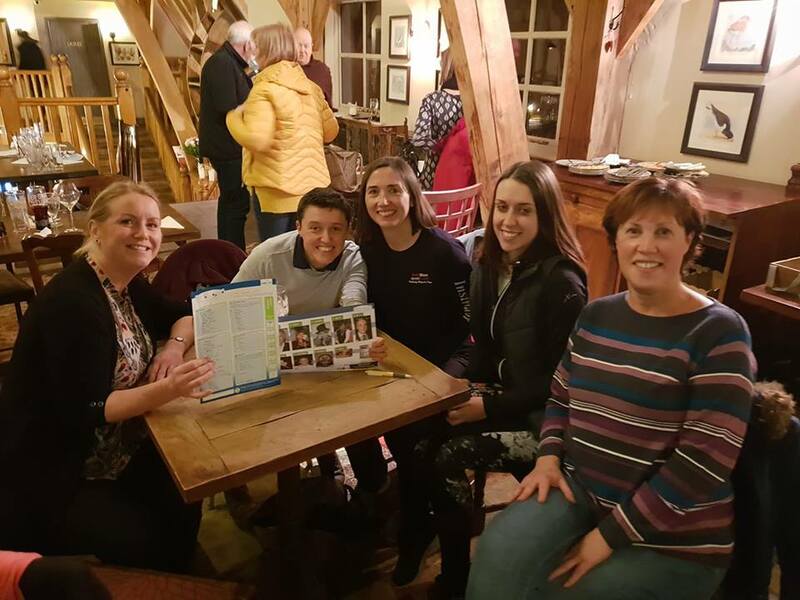 We have had a great start to the year in January with lots of new members attending our sessions, the majority of which have decided they would like to become regular attendees and signed up for membership. Considering it's a hard time of the year to motivate yourself to get out when it's cold and dark (and even snowing as we had last week!) I am delighted that so many stuck with it and weren't put off by the weather. Another few weeks and the temperatures should improve along with lighter evenings and that's when our sessions get even better as we can make more use of the larger grassy areas at all of our locations. Remember that consistency is key so starting now means that come the summer you will feel fitter and stronger than you do now and may even be surprised at just how much you can actually do compared to when you started. I love seeing people progress through their fitness journey especially those who initially are very unfit but very quickly with PERSISTENCE and EFFORT improve not only physically but grow in confidence too as to what they can achieve. If you aren't one of our bootcampers and have found you started January with good intentions of getting to the gym or doing workouts by yourself at home but it hasn't quite worked out that way then we still have space at all our bootcamps for anyone who wants to come and give it a try. General feedback from our January newcomers was how they liked the fact that every session is different and everybody is really friendly. So don't put it off any longer. Come and see for yourself how our sessions will help you get fitter and stronger all in a supportive, non-judgemental environment. January didn't see too many events that bootcampers took part in. A few did RED January which involved taking part in some sort of activity every day in January. Others did their first Parkrun and have now got the Parkrun bug. Annette and Mandy from Gosport took part in the Stubbington 10K. We had a fun social evening at Cams Mill in Fareham exercising our brains instead of our bodies for once. Six of us entered the monthly pub quiz and surpassed our expectations coming 2nd out of 9 teams, only 2 points behind the winners. It was a great night and a fun way of meeting bootcampers who you may not usually see as they attend different locations or days. If anyone is interested in joining us next time or have an idea for another social get together then let me know. Don't forget to check out our list of events further down the page and get signed up to one. Or let me know of something that maybe you are doing or want to do but it isn't on the list. I was chatting to some colleagues the other day and we were talking about crumbles and variations of. If you have a bit of a sweet tooth and like to have a dessert then this low sugar version is perfect if you are watching what you eat. Not only that but it will contain at 2 of your 5 a day. Cut into wedges or dice with the skin left on - make sure to remove the centre. Cook over a medium heat for about 15 - 20 minutes - stirring occasionally until the apples have completely softened and collapsed. Taste them and adjust level of cinnamon etc. Add berries such as blackberries if you want another fruit. Preheat your oven to 160 C for fan assisted. Bake for 30 - 40 minutes or until the crumble is golden. Leftovers can be easily transformed into a breakfast and served with thick Greek-style yoghurt and a dusting of cinnamon. Make an apple crumble smoothie by blending the apple crumble with yoghurt and a spoonful of protein powder for a delicious breakfast. 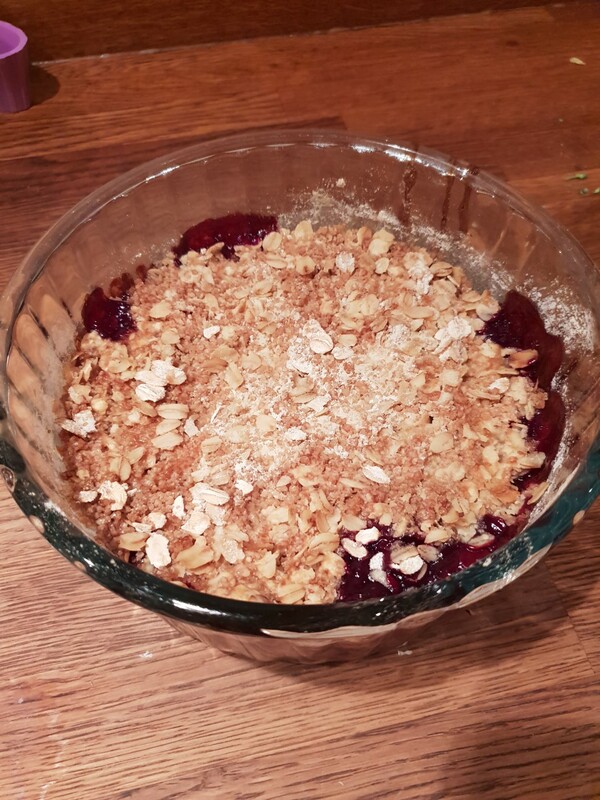 You can also bake the crumble separately like granola and store in an airtight container for up to 1 week. Replace apple with banana and blueberry then cook over a medium heat in a little coconut oil before assembling. 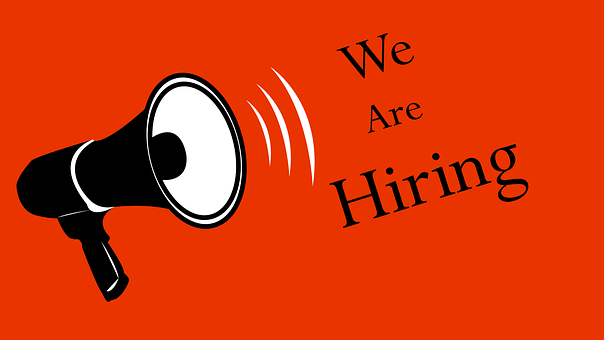 Do you know somebody who is a Level 2 Fitness/Gym Instructor or a Level 3 Pilates Instructor? Maybe you know somebody who is recently qualified and looking to get their foot in the fitness industry door? Or perhaps know somebody who hasn't taught in a few years, feels a bit rusty but would love the opportunity to get back into the teaching saddle. Perhaps you yourself have a qualification that you've kept quiet and secretly would love the opportunity to take some classes. I am looking for fitness instructors to cover bootcamp for holidays and sickness and a Pilates instructor to add another class to our timetable on a weekday evening. For bootcamp the cover instructor must be prepared to work in all weathers at any of our locations in Gosport, Fareham and Portchester. If you feel you have the qualities to motivate, encourage and deliver a great session then please email your CV to karen@bodyblastbootcamp.co.uk. I currently have space during the week for personal training and can offer 8 sessions for £159 to bootcamp members or £199 for non members. Sessions would be either early morning, school hours or evenings after 7:30pm and you would have to travel to me at Fareham. Email me if you would like further details or to book. Bring a friend to bootcamp for a free taster session and be entered into a prize draw to win a £20 gift voucher or a free PT session. I have lots of flyers for distribution so if you want some to give to friends, family, neighbours or work colleagues then let me know or Louise at Portchester. The next draw will take place at the end of March so get referring for your chance to win! Do you own a business? If you refer one of your clients who comes for a free taster session then I will promote your business on the Bodyblast Bootcamp Facebook page (which has almost 2000 likes) and in the Newsletter.